You don’t take Friday the 13th seriously do you? You do! 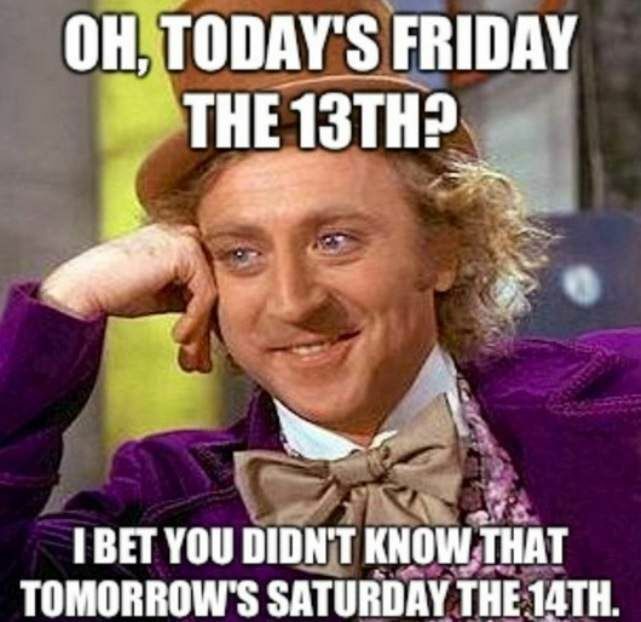 Well, these Friday the 13th memes should help take your mind off the unluckiest day of the year! 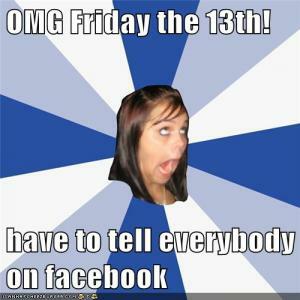 Do you suffer from Paraskevidekatriaphobia: A fear of Friday the 13th? Well, avoid those ladders, run away from black cats, and get some salt ready to throw over your shoulder. 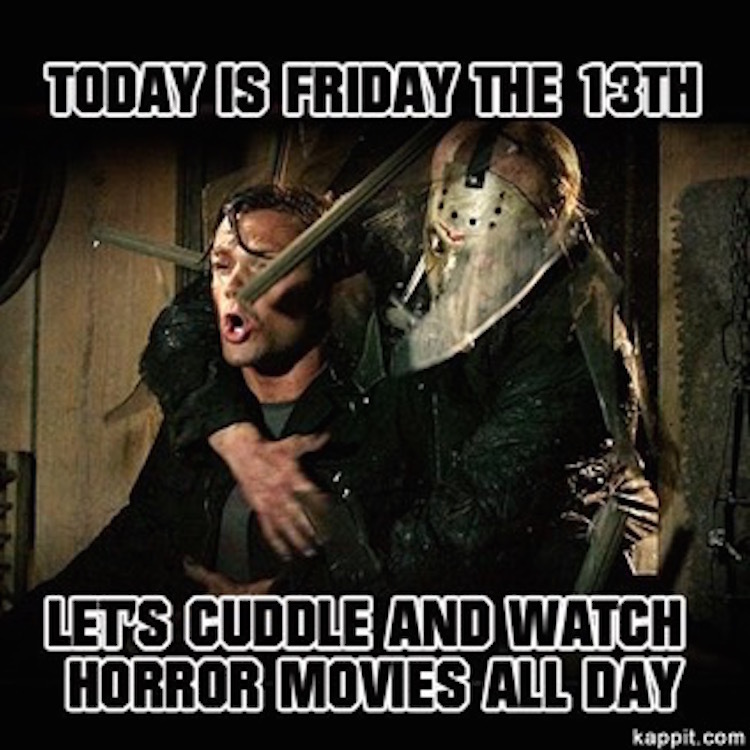 These Friday the 13th memes are just what you need to start your day! 1. 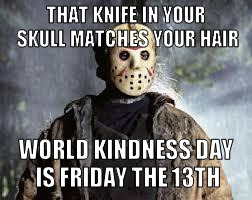 Let’s be kind to one another on Friday the 13th. No need for sharp objects! 2. 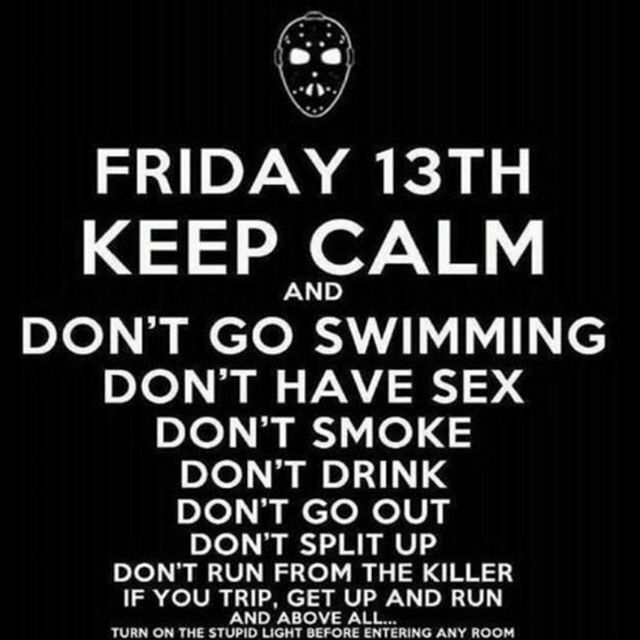 Survival instructions to get through Friday the 13th in one piece. 4. If you do survive, remember tomorrow’s just another day. 5. Because Friday the 13th and clowns mix so well. 6. If Yoda say so, it must be true! 7. 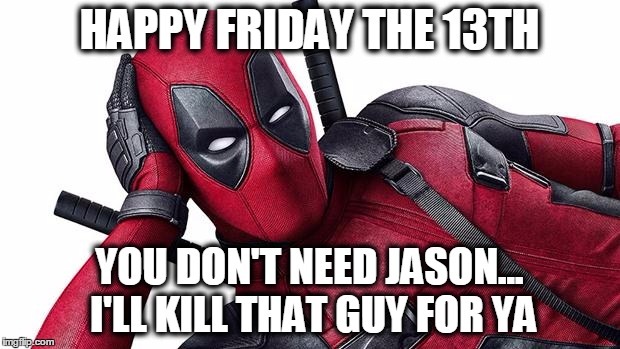 What you need is a hero on Friday the 13th. 8. Want to get a full does of bad luck? These seem like good instructions. 9. 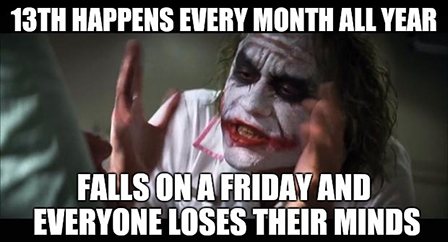 Some people just think that Friday the 13th is simply another day though. 11. 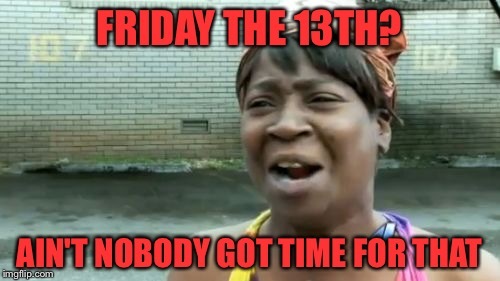 But do we even have time for Friday 13th? No one has time for that! 12. Let’s celebrate everyone. It’s Friday the 13th. Do your funky thing! 13. 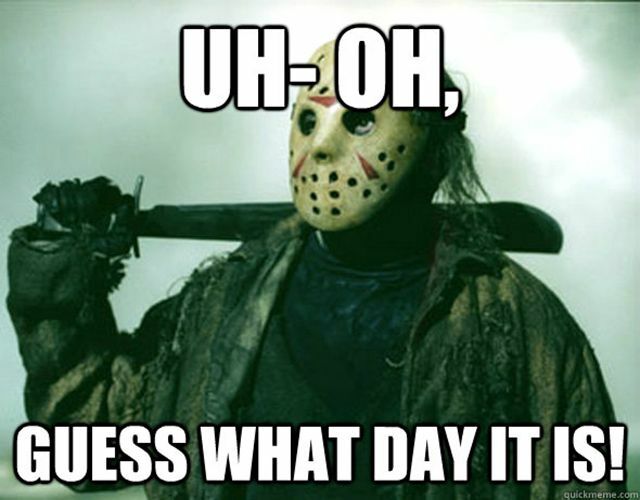 Finally – make sure to tell everyone it’s Friday the 13th. They might not know! We thought you might appreciate this video on ways to celebrate this special day! Why does Freddy Krueger wear a hat? He ran out of scare spray. 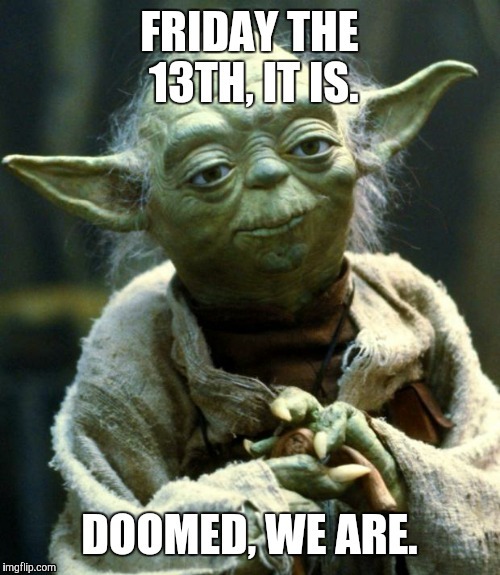 Why don’t Americans worry about Friday the 13th? After losing their home, job, and 401k nothing scares them anymore! What’s Jason Voorhees favorite bean? A human bean. What’s Jason Voorhees favorite desert? I-Scream! 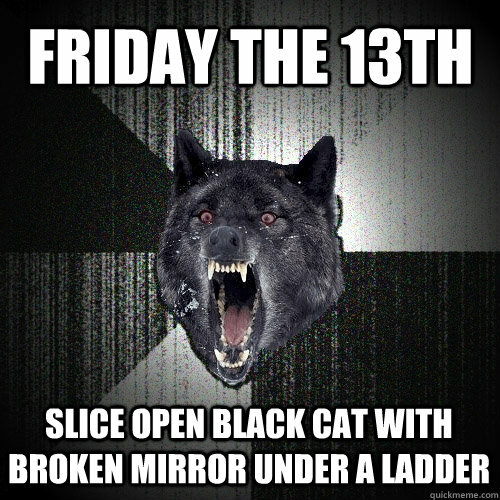 Why aren’t people afraid of Friday the 13th? The lights are out, the windows are boarded up, the lawns aren’t cut. 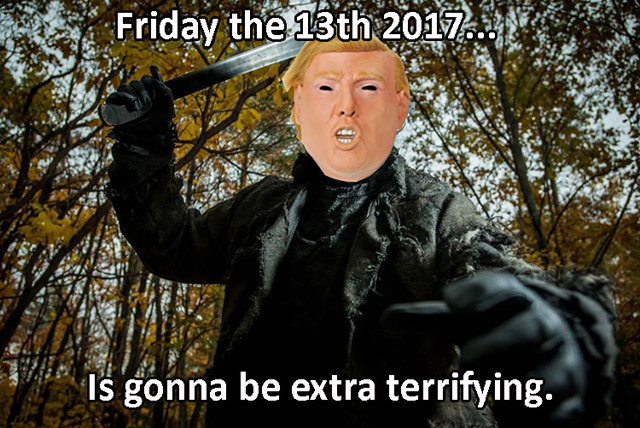 Everyday is Friday the 13th in America now. If you liked those memes, you might want to check out these other ones as well! 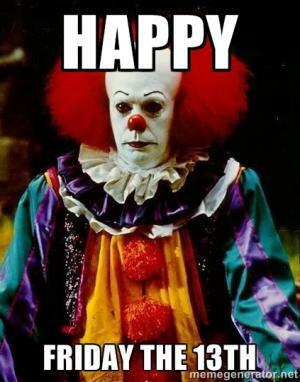 Funny Clown Memes – Because who doesn’t think clowns are a bit freaky! Funny Zombie Memes – If you like zombies and want to get ready for Halloween, these are for you!